The prophet Muhammad is the central figure in Islam, which purports to be the fastest-growing religion in the world. Muslims see him as the ideal man, a rare example of perfect submission to God. His practice, or sunna (the way he acted, which is to be emulated by Muslims), is second in authority only to the Qur’an. Muhammad’s followers believe he lived a sinless life, and that everything he did was the perfect embodiment of the will of God. Though the keepers of such histories were expected to quote their sources, the traditions were passed on orally. As a result, it was easy to invent stories about the prophet to further one’s own purpose. It is the commonalities among the legends that allow for some certainties. At the time of Muhammad’s birth, western Arabia was home to many warring tribes whose religion was polytheistic, such as that practiced in Babylon and Canaan. Some of the main strongholds of these cults were in Taif and Mecca. The religious center in Mecca was the Kaaba, a cube-shaped building in which is embedded a meteoric black stone. Part of the religious observance involved circumambulations of the Kaaba to gain the favor of various deities. Muhammad was later to retain this practice as part of Islam’s religious ritual during the annual pilgrimage (hajj ) to Mecca. While no one knows the exact date, Muhammad is believed to have been born in Mecca during the reign of Khusro Anosharwan, around A.D. 571. Muhammad ibn (son of) Abd Allah was a member of the Hashim clan of the dominant Meccan tribe, the Quraysh. The tribe controlled the Kaaba and dominated commercial and political life in western Arabia. Muhammad’s father died before or shortly after he was born, and his mother’s death followed when the boy was six years old. As an orphan, he lived for two years with his grandfather, and then with his uncle until he reached maturity. Muhammad is not believed to have received any formal education, and at a young age he began to work with caravan trains. While working as a trader, he became acquainted with a caravan company owner 15 years his senior, a widow named Khadija. Muhammad married her when he was 25, and together they had at least six children before her death in 619. Soon after, Muhammad remarried and is said to have continued to take wives until, by the time of his death, he had nine. Several of his marriages were to widows and divorcees, and some created beneficial kinship ties with powerful people. Muhammad practiced an annual month-long religious withdrawal and devotion in the caves around Mecca. It was on one of these retreats on a mountain near Mecca, at the age of 40, that he is said to have received his first visit from an angelic figure, identified in Islamic tradition as the angel Gabriel. The experience at first terrified Muhammad; some sources state that he contemplated killing himself lest people think he was a diviner or even insane. His wife, Khadija, persuaded him that he was not insane and that these were revelations from God, or Allah. While his detractors suggested that his visions were the result of epileptic fits, his series of revelations would later be written down as the Qur’an. Muhammad saw himself as a “warner”—someone to tell the Arabic world of its obligations to God, to prevent disaster, and to bring as many as possible to the faith. He appears to have seen himself in the prophetic traditions of Judaism and Christianity, and these themes form the basis of the earliest messages of Islam. Converting others in the community to the worship of one God was a very slow process in the early years, and Muhammad met much resistance, especially in Mecca. The religion of the community had some resemblance to Islam (the focal point for both was the Kaaba), but Muhammad was accused of having little respect for the religion of the forefathers. After the death of Khadija and shortly after the death of his uncle, who was Muhammad’s tribal protector, opposition became so intense that in 622 Muhammad had to flee to the ancient city of Yathrib, or Medina. Fifteen years later, the year of that flight from Mecca became fixed as the first year of the Muslim era. Muhammad is believed to have been invited to Yathrib as hakim, or judge. 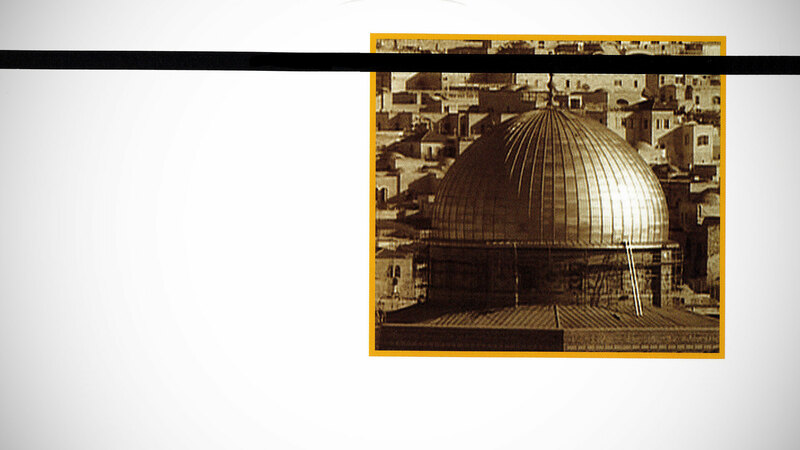 It was there that he established the first Muslim community, serving as its head. Soon after, Yathrib became known as madinat al-nabi, “the Prophet’s city.” Muhammad’s flight (hijra ) to Medina thus also marked the beginning of Islam as a political power. Muhammad enforced his position in the area through numerous military campaigns. Gradually, neighboring tribes started to align themselves with him. By 630 he gained control over Mecca and granted amnesty to his enemies, whether or not they converted to Islam (though many apparently did). Shortly after completing the hajj in 632, Muhammad returned to Medina. There he died and was buried in his own house, which had served as a mosque for some years. The building is still in existence and is considered the second-most holy mosque in Islam.